For anyone who loves nature, getting outdoors and exploring, then walking and trekking in Turkey is a great opportunity.Unfortunately, I am lazy but to help future travelers, I interviewed an expert on the subject. Who is he and what makes him an expert? 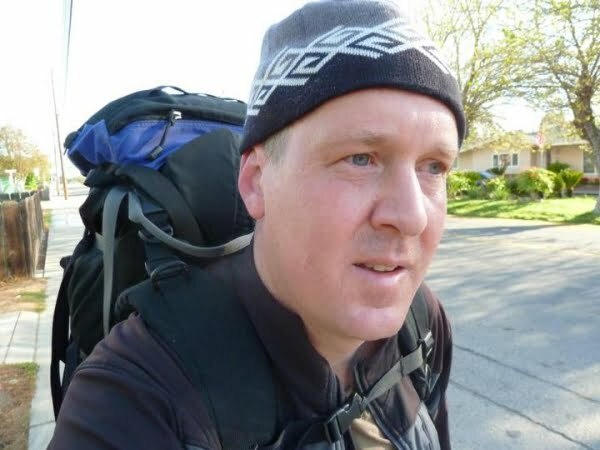 His name is Matt Krause and he has walked across Turkey, from the west to the east, without stopping. He has encountered many terrains and spent many nights camping under the stars. He is from California and has lived in Istanbul as an expat. He is also is a published author, having penned the book called A Tight Wide-open Space: Finding love in a Muslim land. He started on the Aegean coast in Kusadasi and walked from west to east, finishing in Van, near the border with Iran. In total he walked 1305 miles (2100 kilometers). Along the way, he met with locals and made notes, so that he could share their stories. He wants everyone to know about the people of Turkey, their culture, their traditions and their lives. He joined families for dinner, slept on peoples’ living room floors, attended weddings, entertained classrooms of children, and took advantage of any other social opportunities that arise. The walk started at Kusadasi, on Turkey’s Aegean coast. It head east to Konya, dropped southeast to Adana near the Mediterranean Sea, then east again to Sanliurfa. From Sanliurfa the route continued east-northeast to Diyarbakir and Van, and then ends at the border east of Van. He walked through valleys, up mountains, across plateaus and along coastlines. He walked through cities of well over a million people, followed by sparsely-populated areas where he did not see anyone for days. Me: In the current times, we have fast cars and planes that take us hundreds of miles in an hour. Why did you hike and trek across Turkey? Matt – The answer is simple – To put my life where my mouth is. In 2003 I met a woman on an airplane to Hong Kong. We dated and then moved to her hometown of Istanbul, where we got married. We lived in Turkey for 6 years, but in 2009 things unraveled and I came back home to the US. When I came back to the US, people kept asking me about the differences I had seen in Turkey. Political differences, religious differences, cultural differences, gender differences, just about every kind of difference you could think of. However, I really wanted to tell them about how people are just the same. Living in Turkey had reminded me of this but human nature forces us to focus on the differences. It makes us more afraid of each other than we need to be. I do not want to talk about this theory and not back it up with proof. If the similarities are so profound, I should be able to walk, alone and unprotected, across the country. I will write four books detailing my journey across Turkey. To find out more about Matt, his tips for exploring Turkey and to learn about his books, visit his website here. Hi Natalie and all the commenters. Just wanted to check in and say hello some way into the walk. I am currently in Osmaniye, about 55% of the way across the country. Loving it so far. I love the message that Matt wants to share with the world. We encountered a similar reaction to being in the Middle East when we returned home from Jordan. Everyone asked us if we were scared, if people were mean to us because we are American. The messages that the media feeds the US market are very different from our experience as travelers. I’m glad Matt is taking the time to gather personal stories from the Turkish people and will be sharing them with others around the world. He used to be married to a Turk Turtle and lived out of Istanbul for a while so I think he has a good grasp on the language. Natalie – thanks so much for telling the story of our friend Matt. All of us are inspired by what he’s doing and are excited to follow along (if only virtually). To everyone else on this blog, thanks for you comments of support for Matt. He’s genuine in his desire to create something better as a result of this walk. Fantastic! I love this so much. I want to know how good Matt’s Turkish is, though. Language seems to be the biggest barrier to this kind of thing. 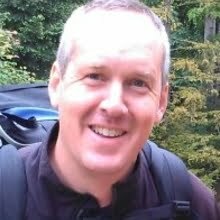 I hope Matt has a great time in Turkey, but if anyone is interested in donating money you should look at smiletrek.org first. This guy is walking over 5000 miles across southeast Asia, completely self funded in order to raise money to help children affected by cleft pallete deformities. It is nice to see Matt live his dream but this guy is making dreams come true for others. That is a great random meeting Joy, especially in a big city like Istanbul. Should pack him up some of your cookies, so you can take them with him! Great interview and post as always, Natalie! Was so happy to randomly meet Matt at Denizen Coffee in Istanbul yesterday. Hope to see him again before he takes off on this amazing trek across Turkey! Certainly impressive Cheryl, the wring material he will get from this trip will also make four impressive books. Wow oh wow, he’s a brave man. I’m impressed and cannot wait to learn more about his profound journey! Great story Joe and a reminder that we should always make the most of opportunities given to us in life. I was stationed in Incirlik AFB in 1972-1974. The base is just outside Adana. My biggest regret is that I did not take full advantage of this once in a lifetime opportunity. I did go to Ankara while I was there. However, the Air Force made it clear to us that the Turkish people did not like us. Looking back, I realize that was not entirely true. They discouraged us from traveling the countryside. While I was there I worked the ER at the base hospital. There was one incident where a group of airmen who went hunting was found murdered. However, I know of many airman who lived off base, and fully integrated with the local population. They took the time to learn the Turkish language, but more importantly, learned the cultural customs of the people. As you travel anywhere in the world, there are good people, and there are bad ones. This holds true even here in the USA. I wish the best for Matt. Keep vigilant, be aware of your surroundings, and enjoy the great adventure. What a story (and its just beginning)! Can’t wait to hear all about the journey. Thanks for sharing and spreading the word Natalie. Let’s give it up for Matt. And not a bad book either! This is awesome! I LOVE Turkey and don’t know why people view it as a dangerous country. I never once felt in danger in my month there. This is an amazing plan, and I hope Matt follows through and gives it 100%. I love the motivation – to show that, deep down, people are the same despite our cultural differences. Inspirational. Matt, your brother Mark just told us about your adventure last night. So, I wanted to follow along. Best of luck! I’m sure it will be amazing. You have a lot of people wishing you luck Matt. We are all behind you 100%. Thanks everyone for the encouragement, and thanks Natalie for such a great article and helping spread the word about the walk. I arrived in Istanbul last night and am chomping at the bit to get down to Kusadasi and get started. I encourage everyone who reads this to come on down and join me somewhere along the route. Walk with me for 30 minutes, or walk with me across the entire country. If you’re not in Turkey, get out and walk, wherever you are. Walk through your world. An inspiring story…not sure I could make it across town much less across the country! Wow! Definitely an impressive goal! I’m really curious to see how long it ends up taking him. Good luck to you, Matt! Just bought his book “A Tight Wide-open Space: Finding love in a Muslim land” because of this post + reviews I read on Amazon. Got the paperback so I can feel it in my hands + take it on my daily bus rides to-from work (I don’t have an e-reader anyway). Also, I’m planning to pledge at least $25 as soon as I figure out some financial stuff. I LOVE epic journeys and unique projects such as these and, as I plan on embarking on similar epic journeys someday, I thrive to help as many adventurers as I can for now. Love seeing people live their lives with such purpose and meaning. Natalie, you captured Matt! I’m so excited for this journey and my family is completely behind him and my 4th grade class will be following along to see what we can learn too. I’m nervous and excited for the trip to begin! Go Matt!